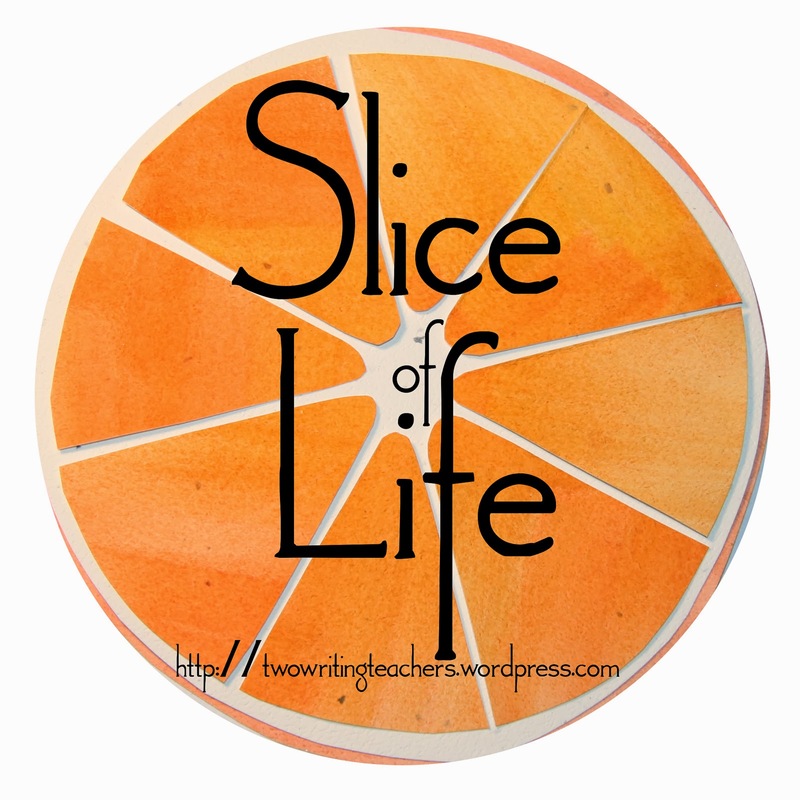 I am beginning to wonder if I will ever catch my breath enough to blog again! Non-stop, race to the finish. Three more days of school. Entering GOLD data...oh, how tedious it is to finalize data! What fun we had dancing at our DJ Party! Supporting my Resident as she searched for a teaching position next year - YES, Melissa will be teaching kindergarten! In Spanish! Go, Melissa! Well done! 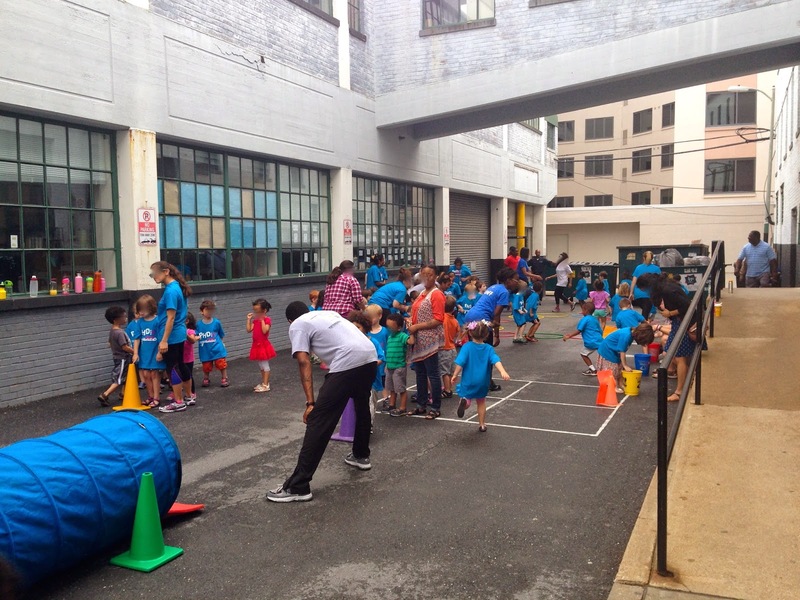 Field day in the side alley, hosted by our YMCA - so much fun! Field Day - we sure made good use of our side alley! In, between, around, and in spite of these many demands and milestones, trying to savor special moments with the children. Tuesday SOL Water exploration - let's build bridges! We have been doing lots of science and engineering about water...this past week, we engineered bridges using our recyclables and tape. This engineering problem is based on the book Twenty-One Elephants and Still Standing by April Jones Prince, which shares the true story of how Phineas Barnum marched his circus elephants over the Brooklyn Bridge to test its soundness. 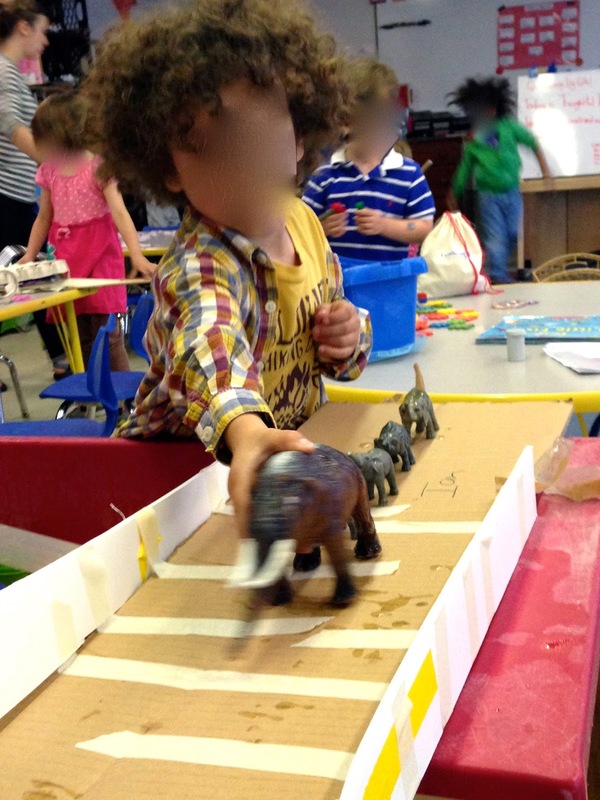 The children test their bridges by seeing how many toy elephants their bridge supports (our goal was five toy elephants). 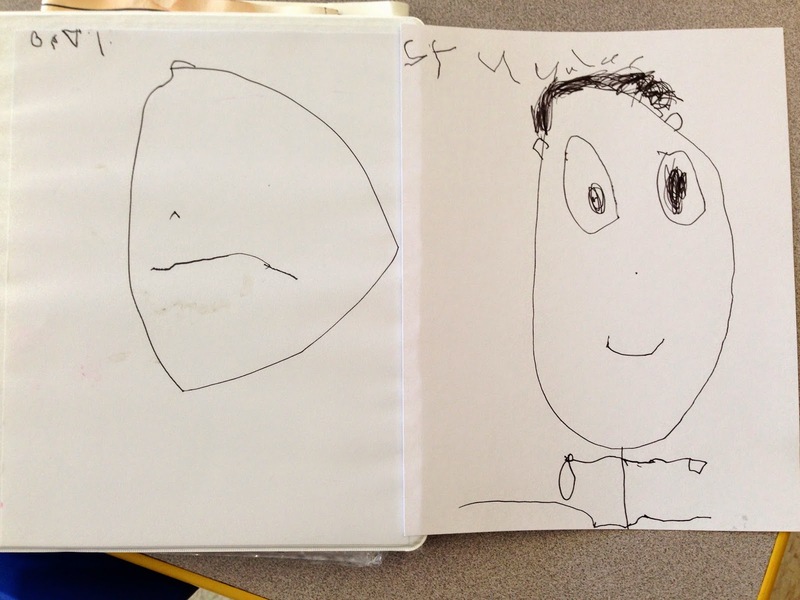 It's been a couple years since I've done this particular engineering problem with children (see my blogpost from that time)...and it was no less thrilling for these preschoolers than for previous students. with two large groups of adults visiting my classroom during the course of the morning. We are a demonstration school, and, at least once a week, there is a tour of classrooms. 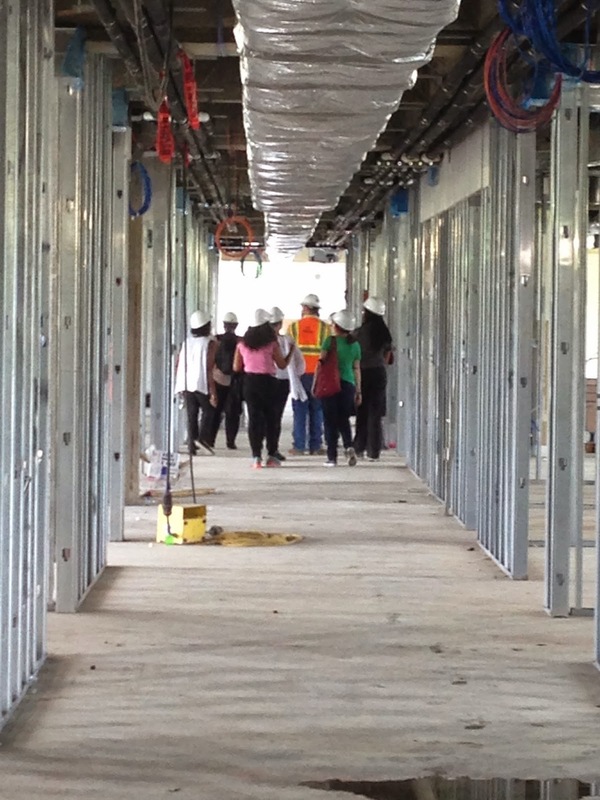 On bridge-building day, we were having the last tours of the school year, and, I'm not exaggerating, some 20-30 adults visited my room. 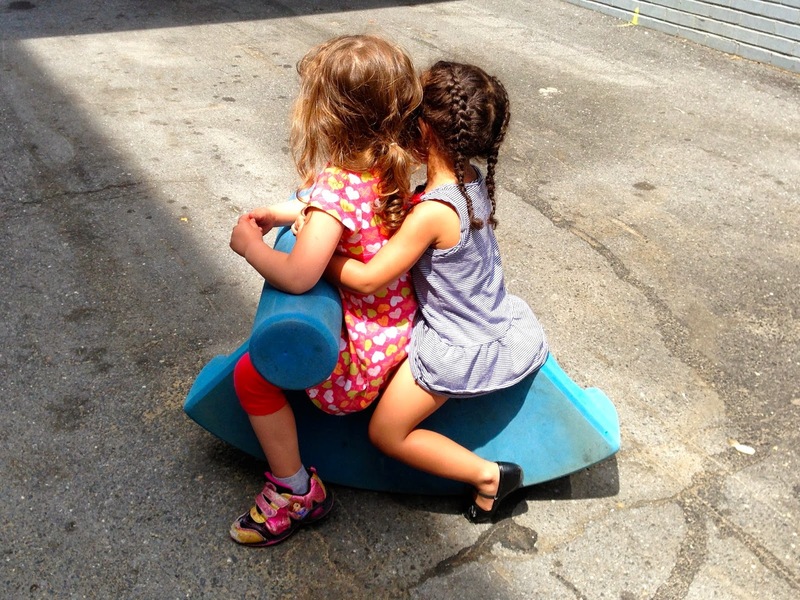 When the adults entered my classroom, I did my very best just to tune them out, to focus on my preschoolers. After three years at my school, knowing this is a part of what we do - opening doors and letting people observe us in action - I am practiced at teaching "in the fish bowl." But, wow, what a weird sensation! yet, terrified that they would say or do something outrageous. yet, the morning flew by. To build is to focus. Testing the bridge for its soundness. 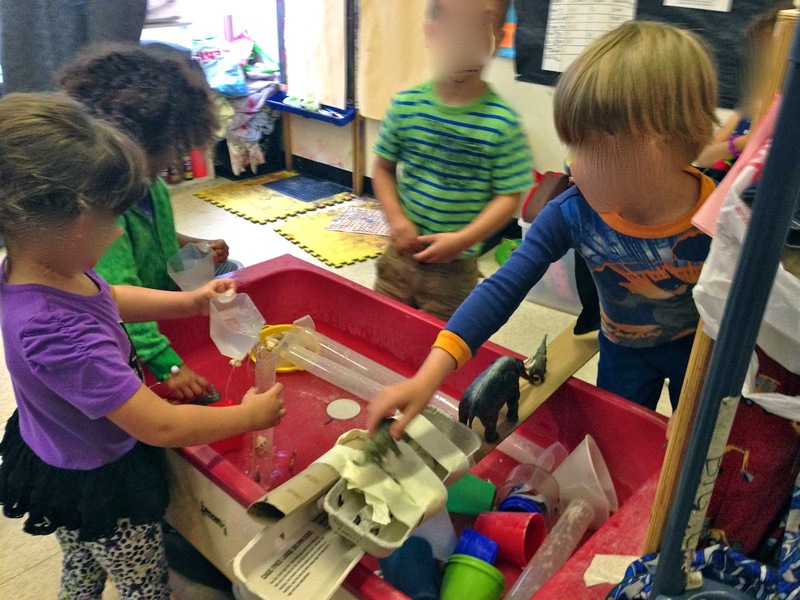 One bridge gets tested, while others investigate the water. 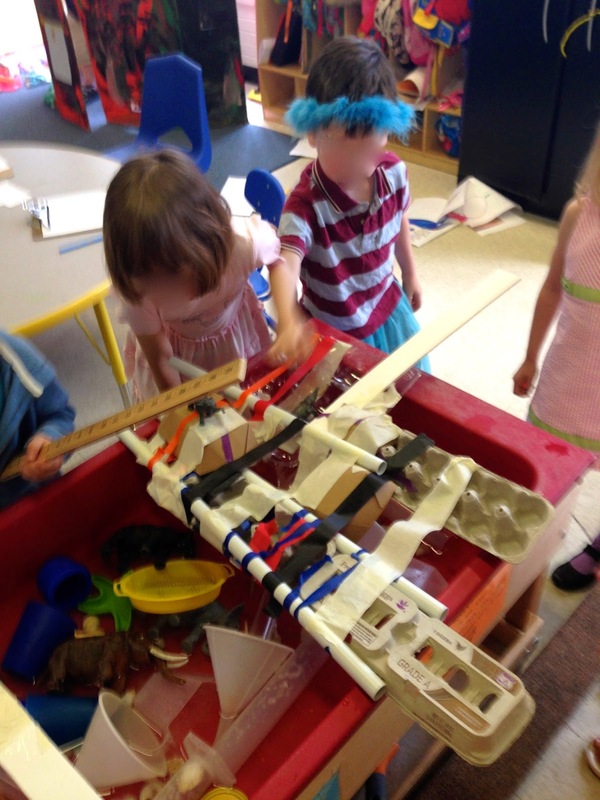 These two worked together to create one enormous, awesome bridge. 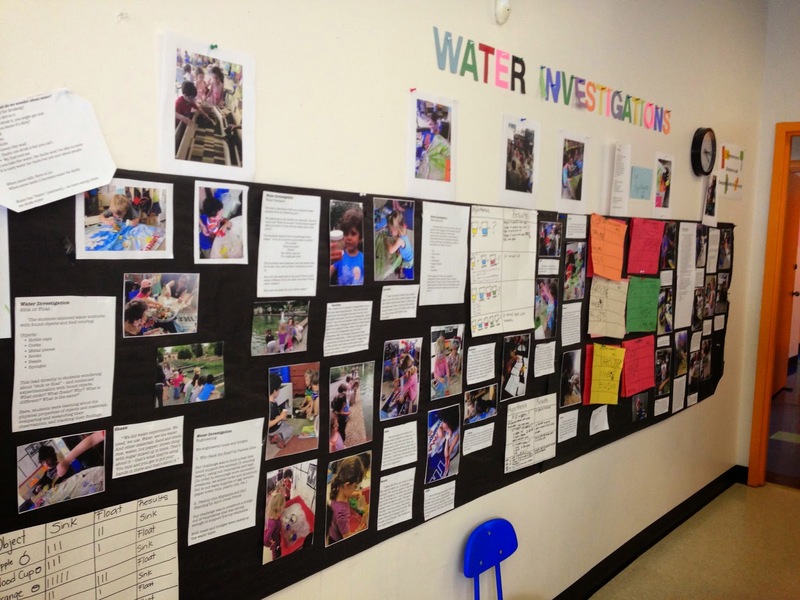 I promise - more details about our other water investigations work very soon! !